Hi. I recently bought this item off of the steam community market for about 2,5 euros. I bought it thinking that the price of this item would have been around that amount on this site but instead i found that there are no listings for this item nor are there any suggested prices on the site. Furthermore when i went to just search a regular Awper hand this variety of the item didn't come up. I have no idea whether the site is bugging or if i have a rare item on my hands. Any help to suggest a proper price for this item would be appreciated. Thanks in advance! Thanks stranger! Wasnt showing up for me for some reason. 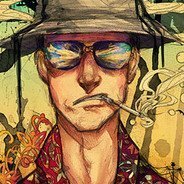 just use filters, for the awp i use "AWPer Hand" "Unique" and "Specialized Killstreak"